← NationalAtlas.Gov a Website That May be Useful for Preppers. The other day I was reading a Field expedient handbook published at the U.S. Army Infantry School back in the 1960’s. These are interesting little books with lots of good knowledge. If you run across field expedient handbooks for sale at a reasonable price, they are worth picking up. They have a lot of different types of information in them and the military produced lots of them. Today I am posting information from a couple of pages that you may find useful. 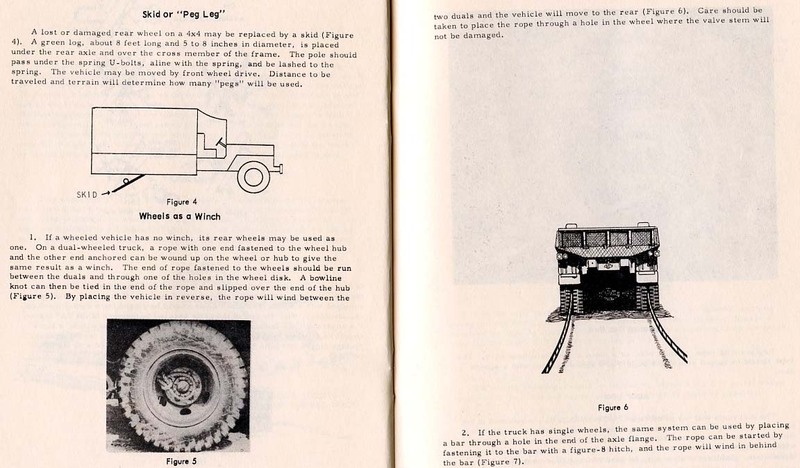 The first is some techniques that were designed to work with the older 4 x 4 military vehicles. But in an emergency, you may be able to adapt these to yours. Some techniques to get your vehicle out of trouble. 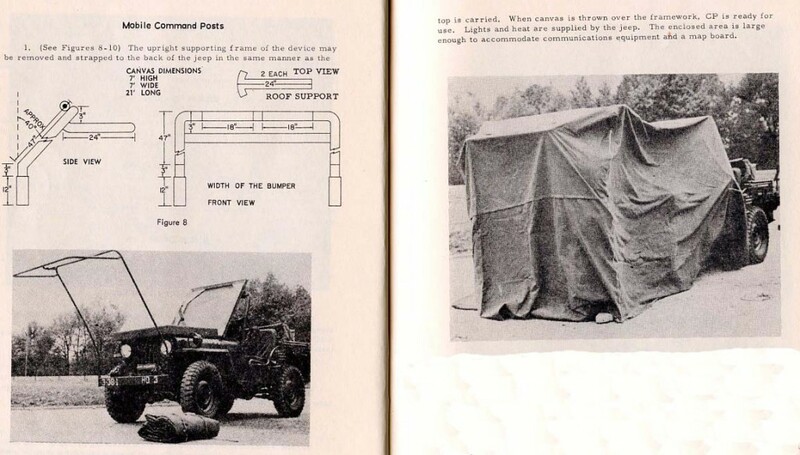 The second is an easy way to turn a jeep into a shelter and at the same time hide the jeep. With some electrical conduit, you could adapt this to almost any vehicle by installing brackets on your front bumpers for the conduit to slide into. Make the shelter cover large enough to cover the vehicle and if you use the right materials, you have not only built a shelter but camouflaged your vehicle. Make this cover from a camo material and cover the vehicle and you have your shelter made and your vehicle hid. Field expedient techniques were developed by soldiers in every war to solve the problems that were not covered in the manuals or caused by shortages or poor equipment. Shoe Goo Useful for Repairing Tennis Shoes, Boots and Rain Gear. 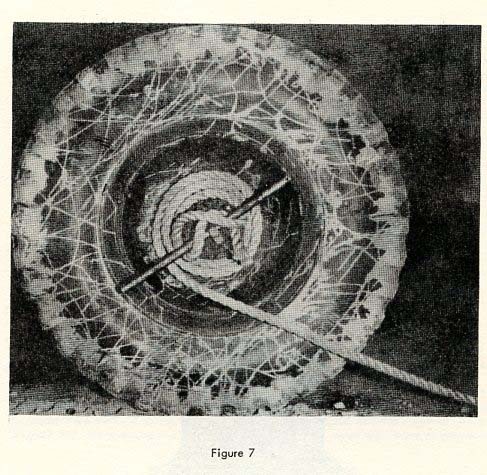 This entry was posted in Self sufficiency, Shelter, Transportation and tagged field expedient. Bookmark the permalink.